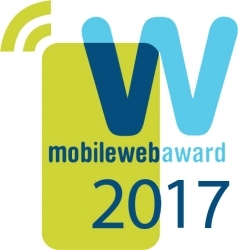 The winners of the sixth annual international MobileWebAward competition are now available from The Web Marketing Association. This award program recognizes the best mobile websites and the best mobile applications from all over the world. The complete list of winners for each of the 86 industries covered can be found at www.mobile-webaward.org. Boston, MA, December 07, 2017 --(PR.com)-- The Web Marketing Association is pleased to announce the winners of its sixth annual international MobileWebAward competition. This award program recognizes the individual and team achievements of web professionals all over the world who create and maintain the best mobile websites and the best mobile applications. The complete list of winners for each of the 86 industries covered can be found at www.mobile-webaward.org. TMP Worldwide won Best of Show Mobile Website for Walmart Careers with a Mission - Walmart has a rich history of recognizing and honoring Veterans. To speak to this audience on how Walmart can be a resource to veterans for careers, in the community, and the various commitments they make. It’s an invite to those who want to support veterans and their families, and a resource if you are looking for employment which they will guarantee if you've honorably discharged. The entry also won Best Military Mobile Website. The Web Marketing Association’s 6th annual MobileWebAwards are based upon the success of its long running international WebAward Competition for Website Development and the Internet Advertising Competition. All Web Marketing Association award programs recognize the people and organizations responsible for developing the most effective online marketing programs on the Internet today. Entrants benefit from assessment of their marketing efforts by a professional judging panel and the marketing opportunities presented by being recognized as an award-winning entry.